American Systems, Chantilly, Virginia (HHM402-15-D-0010); BAE Systems, McLean, Virginia (HHM402-15-D-0011); Blue Canopy, Reston, Virginia (HHM402-15-D-0012); The Boeing Co., Annapolis Junction, Maryland (HHM402-15-D-0013); Booz Allen Hamilton, McLean, Virginia (HHM402-15-D-0014); CACI, Chantilly, Virginia (HHM402-15-D-0015); CGI Federal, Fairfax, Virginia (HHM402-15-D-0016); Computer Sciences Corp., Falls Church, Virginia (HHM402-15-D-0017); D&S Consultants Inc., Eatontown, New Jersey (HHM402-15-D-0018); EIS, Vienna, Virginia (HHM402-15-D-0019); General Dynamics Information Technology, Herndon, Virginia (HHM402-15-D-0020); HP Enterprise Services, Herndon, Virginia (HHM402-15-D-0021); IBM, Reston, Virginia (HHM402-15-D-0022); Intelligent Decisions, Ashburn, Virginia (HHM402-15-D-0023); K Force Government Solutions, Fairfax, Virginia (HHM402-15-D-0024); L3 National Security Solutions, Reston, Virginia (HHM402-15-D-0025); Leidos, Reston, Virginia (HHM402-15-D-0026); Lockheed Martin Corp. Gaithersburg, Maryland (HHM402-15-D-0027); ManTech/WINS, Fairfax, Virginia (HHM402-15-D-0028); Northrop Grumman, Chantilly, Virginia (HHM402-15-D-0029); Pragmatics, Reston, Virginia (HHM402-15-D-0030); Raytheon IIS Group, Dulles, Virginia (HHM402-15-D-0031); Scientific Research Corp., Atlanta, Georgia (HHM402-15-D-0032); Sotera, Herndon, Virginia (HHM402-15-D-0033); SRA International, Fairfax, Virginia (HHM402-15-D-0034); 22nd Century Technologies,* McLean, Virginia (HHM402-15-D-0035); AEEC LLC,* Reston, Virginia (HHM402-15-D-0036); American Technology Solutions International,* Fredericksburg, Virginia (HHM402-15-D-0037); Berico Technologies,* Reston, Virginia (HHM402-15-D-0038); The Buffalo Group,* Reston, Virginia (HHM402-15-D-0039); Convergent Solutions Inc.,* Alexandria, Virginia (HHM402-15-D-0040); Criterion Systems Inc.,* Vienna, Virginia (HHM402-15-D-0041); Cyberspace Solutions,* Reston, Virginia (HHM402-15- D-0042); DAn Solutions Inc.,* McLean, Virginia (HHM402-15-D-0043); DKW Communications,* Washington, District of Columbia (HHM402-15-D-0044); E-Volve Technology Systems,* National Harbor, Maryland (HHM402-15-D-0045); Federated IT,* Washington, District of Columbia (HHM402-15-D-0046); Intrepid Solutions & Services Inc.,* Reston, Virginia (HHM402-15-D-0047); The Kenjya Group,* Columbia, Maryland (HHM402-15-D-0048); New River Systems,* Sterling, Virginia (HHM402-15-D-0049); OCCAM Solutions,* McLean, Virginia (HHM402-15-D-0050); QVine Corp.,* Reston, Virginia (HHM402-15-D-0051); Red Arch Solutions,* Columbia, Maryland (HHM402-15-D-0052); Riite,* Chantilly, Virginia (HHM402-15-D-0053); Soft Tech Consulting,* Chantilly, Virginia (HHM402-15-D-0054); Trusted Mission Solutions,* McLean, Virginia (HHM402-15-D-0055); Varen Technologies,* Columbia, Maryland (HHM402-15-D-0056); Vykin Corp.,* Tampa, Florida (HHM402-15-D-0057); Xcelerate Solutions,* McLean, Virginia (HHM402-15-D-0058); and Zolon Tech Inc.,* Herndon, Virginia (HHM402-15-D-0059), were awarded an indefinite-delivery/indefinite-quantity, multiple-award contract with a combined ceiling value of $6,000,000,000. The Enhanced Solutions for the Information Technology Enterprise (E-SITE) contract supports information technology requirements across the Defense intelligence enterprise and the greater intelligence community. Work will be performed worldwide with an estimated completion date of July 16, 2020. The E-SITE contract vehicle was solicited on the basis of full and open competition, and 77 proposals were received. After conducting a thorough evaluation based on the request for proposal criteria, contracts are being awarded to 25 large businesses and 25 small businesses. Each company will be awarded a $500 minimum guarantee and additional funding will be obligated on individual task orders with the initial follow-on task order competitions scheduled this summer. The Virginia Contracting Activity, Washington, District of Columbia, is the contracting activity. Huntington Ingalls Inc., Newport News, Virginia, is being awarded a $106,239,735 cost-plus-fixed-fee contract for engineering, technical, design, configuration management, integrated logistics support, database management, research and development, modernization, and industrial support for Navy submarines. The contract will support Los Angeles-, Seawolf-, Virginia- and Ohio-class submarines, special mission submersible interfaces and submarine support facilities. This contract includes options which, if exercised, would bring the cumulative value of this contract to $564,023,324. Work will be performed in Newport News, Virginia, and is expected to be completed by September 2016. Fiscal 2015 other procurement (Navy) and fiscal 2015 operations and maintenance (Navy) funding in the amount of $16,921,250 will be obligated at the time of ward. Funds in the amount of $4,904,112 will expire at the end of the current fiscal year. This contract was not competitively procured in accordance with FAR 6.302-1(a)(2)(iii) – Only one responsible source and no other supplies or services will satisfy agency requirements. The Naval Sea Systems Command, Washington, District of Columbia, is the contracting activity (N00024-15-C-2105). BAE Systems Norfolk Ship Repair, Norfolk, Virginia, is being awarded a $38,604,037 modification to a previously awarded contract (N00024-11-C-4403) for USS Leyte Gulf (CG-55) fiscal 2015 extended docking selected restricted availability. An extended docking selected restricted availability includes the planning and execution of depot-level maintenance, alterations, and modifications that will update and improve the ship’s military and technical capabilities. Work will be performed in Norfolk, Virginia, and is expected to be completed by February 2016. Fiscal 2015 operations and maintenance (Navy) and fiscal 2014 other procurement (Navy) contract funds in the amount of $37,087,876 will be obligated at time of award and will expire at the end of the current fiscal year. Mid Atlantic Regional Maintenance Center, Norfolk, Virginia, is the contracting activity. Cask Technologies LLC,* San Diego, California, is being awarded a $25,000,000 firm-fixed-price, indefinite-delivery/indefinite-quantity contract for program analytical and technical support for Marine Corps Total Force Information Technology Systems. Work will be performed in Stafford, Virginia, and work is expected to be completed May 19, 2020. No funds will be obligated at the time of award. Funds will be obligated as task orders are issued. This contract was competitively procured among all certified Small Business Administration 8(a) firms via the Federal Business Opportunities website, with four offers received. The Marine Corps System Command, Quantico, Virginia, is the contracting activity (M67854-15-D-4801). Cask Technologies LLC,* San Diego, California, is being awarded a $25,000,000 firm-fixed-price, indefinite-delivery/indefinite-quantity contract for the business analytics, cost analysis and portfolio support for Marine Corps Total Force Information Technology Systems. Work will be performed in Stafford, Virginia, and work is expected to be completed May 19, 2020. No funds will be obligated at the time of award. Funds will be obligated as task orders are issued. This contract was competitively procured among all certified Small Business Administration 8(a) firms via the Federal Business Opportunities website, with two offers received. The Marine Corps System Command, Quantico, Virginia, is the contracting activity (M67854-15-D-4803). Safe Boats International LLC,* Bremerton, Washington, is being awarded a $17,777,307 modification to previously awarded firm-fixed-price contract (N00024-14-C-2230) to exercise an option for the purchase of two MK VI patrol boats. The option is for the construction and delivery of two MK VI patrol boats (PB) complete with basic boat equipment. The MK VI PB is the Navy’s next generation patrol boat and will become a part of the Navy Expeditionary Combat Command’s fleet of combatant craft. The MK VI PB’s mission is to provide operational commanders a capability to patrol shallow littoral areas beyond sheltered harbors and bays, and into less sheltered open water out to the departure sea area for the purpose of force protection of friendly and coalition forces and critical infrastructure. Work will be performed in Tacoma, Washington (82 percent); Kent, Washington (7 percent); Wichita, Kansas (6 percent); New Zealand (3 percent); and various locations of less than one percent each, totaling two percent, and is expected to be completed by March 2018. Fiscal 2015 National Guard and Reserve Equipment Appropriation funding in the amount of $17,777,307 will be obligated at time of award and will not expire at the end of the current fiscal year. The Naval Sea Systems Command, Washington, District of Columbia, is the contracting activity. Huntington Ingalls Inc., Pascagoula, Mississippi, is being awarded a $15,363,387 modification to previously awarded cost-plus-award-fee contract (N00024-12-C-4323) to provide long lead-time material procurement, management services, and incremental level of effort for Ticonderoga-class cruisers. Huntington Ingalls will provide necessary engineering, technical, planning, ship configuration, data and logistics efforts for both maintenance and modernization. Work will be performed in Pascagoula, Mississippi, and is expected to be completed by September 2016. Fiscal 2014 and 2015 operations and maintenance (Navy), and fiscal 2014 and 2015 other procurement (Navy) funding in the amount of $15,335,873 will be obligated at time of award. Funds in the amount of $14,855,262 will expire at the end of the current fiscal year. The Supervisor of Shipbuilding, Conversion, and Repair, Gulf Coast, Pascagoula, Mississippi, is the contracting activity. Northrop Grumman Systems Corp., Annapolis, Maryland, is being awarded a not-to-exceed $14,761,000 value cost-plus-fixed-fee, firm-fixed-price contract for the design, development, fabrication, testing, production and delivery of AN/AQS-24C mine hunting sonar systems. The purpose of this effort is to meet an urgent operational need for volume search minehunting capability deployed from the MH-53E Sea Dragon helicopter. The AN/AQS-24C system is a modification to the AN/AQS-24B configuration, providing high-speed capability to detect and classify volume (moored) mines while simultaneously hunting bottom mines, and will be deployed from the MH-53E Sea Dragon helicopter. The AN/AQS-24C system will integrate ahead-looking topographic large area survey volume search sonar and its associated software into operational AN/AQS-24B systems. Work will be performed in Annapolis, Maryland (93 percent); Salt Lake City, Utah (5 percent); Poway, California (1 percent); and Lawrenceville, Georgia (1 percent), and is expected to be completed by Dec. 31, 2016. Fiscal 2014 research, development, test and evaluation and fiscal 2015 other procurement (Navy) funding in the amount of $7,031,000 will be obligated at time of award. Contract funds in the amount of $5,139,000 will expire at the end of the current fiscal year. This contract was not competitively procured in accordance with FAR 6.302-1(a)(2)(ii) – only one responsible source and no other supplies or services will satisfy agency requirements. The Naval Sea Systems Command Washington, District of Columbia, is the contracting activity (N00024-15-C-6320). Lockheed Martin Mission Systems and Training, Moorestown, New Jersey, is being awarded a $12,849,302 modification to previously awarded contract N00024-09-C-5013 for Aegis Platform Systems Engineering Agent (PSEA) activities and Aegis Modernization Advanced Capability Build (ACB) engineering. The Aegis PSEA manages the in-service combat systems configurations as well as the integration of new or upgraded capability into the CG57 class of ships and the DDG 51 class of ships. Aegis modernization will provide upgrades to Aegis cruisers and Aegis destroyers, and will be applicable to all Aegis ships with a computer program that is backfit compatible to Baseline 2 cruisers. Work will be performed in Moorestown, New Jersey (99 percent); Tewksbury, Massachusetts (0.6 percent); and Dahlgren, Virginia (0.4 percent), and work is expected to be completed by March 2016. No funds are being obligated at time of award. No funds will expire at the end of the current fiscal year. The Naval Sea Systems Command, Washington, District of Columbia, is the contracting activity. Cianbro Corp., Pittsfield, Maine, is being awarded a $9,127,103 firm-fixed-price contract for repairs to Dry Dock Number 3 pumpwell at the Portsmouth Naval Shipyard. The work to be performed provides for repairs to the pumpwell structure, including concrete crack sealing to the exterior, underwater surfaces as well as the interior wall, shared with Dry Dock Number 3; repair electrical systems including distribution systems, panels and lighting, repair heating, ventilation and dehumidification systems; repair fire protection and alarms systems, repair the spiral stairs, handrails, doors, partition walls and other elements related to life safety and overhauls and refurbish the main dewatering pumps and incidental related work. Work will be performed in Kittery, Maine, and is expected to be completed by January 2017. Fiscal 2015 operation and maintenance, (Navy) contract funds in the amount of $9,127,103 are being obligated on this award and will expire at the end of the current fiscal year. This contract was competitively procured via the Navy Electronic Commerce Online website with two proposals received. The Naval Facilities Engineering Command, Mid-Atlantic, Public Works Department Maine, Kittery, Maine, is the contracting activity (N40085-15-C-6109). Meggitt (Rockmart) Inc., Rockmart, Georgia, has been awarded a maximum $39,814,009 firm-fixed-price delivery order (1001) against basic ordering agreement SPRPA1-15-G-003X for aircraft fuel cells. This was a sole source acquisition using justification 10 U.S.C. 2304 (c)(1). Location of performance is Georgia, with a July 16, 2020, performance completion date. Using services are Navy and foreign military sales customers in Spain, Finland and Switzerland. Type of appropriation is fiscal 2015 through fiscal 2016 Navy working capital funds, and fiscal 2015 foreign military sales funds. 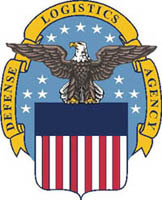 The contracting activity is the Defense Logistics Agency Aviation, Philadelphia, Pennsylvania. Andritz Hydro Corp., Charlotte, North Carolina, was awarded a $12,973,090 firm-fixed-price incrementally funded contract with options to repair the main unit hydropower generators #1 and #2 at the Lower Monumental Dam powerhouse, Kahlotus, Washington, with an estimated completion date of May 30, 2017. Bids were solicited via the Internet with three received. Fiscal 2015 other procurement funds in the amount of $250,000 were obligated at the time of the award. Army Contracting Corps of Engineers, Walla Walla, Washington, is the contracting activity (W912EF-15-C-0019). Howard W. Pence Inc.,* Elizabethtown, Kentucky (W9124D-15-D-0027); T & T Construction Enterprises LLC,* Leitchfield, Kentucky (W9124D-15-D-0028); RL Alvarez Construction LLC,* Clarksville, Tennessee (W9124D-15-D-0034); and Commonwealth Support Services II LLC, Louisville, Kentucky (W9124D-15-D-0035), were awarded a $245,000,000 firm-fixed-price multiple award task order contract for construction, restoration and maintenance of real property. Work will be performed at Ft. Knox, Kentucky, with an estimated completion date of July 15, 2020. Bids were solicited via the Internet with 25 received. Funding will be determined with each order. Army Contracting Command, Ft. Knox, Kentucky, is the contracting activity. BAE Systems Combat Vehicles, York, Pennsylvania, was awarded a $54,665,000 firm-fixed-price foreign military sales contract (Brazil) to upgrade 236 Brazilian M113 armored personnel carriers. Work will be performed in Minneapolis and Hopkins, Minnesota; Santa Clara, California; and Emporia, Kansas, with an estimated completion date of Dec. 31, 2018. One bid was solicited with one received. Fiscal 2014 other procurement funds in the amount of $35,905,341 were obligated at the time of the award. Army Contracting Command, Warren, Michigan is the contracting activity (W56HZV-15-C-0150). Management Consulting Inc., Virginia Beach, Virginia, was awarded a $25,079,661 firm-fixed-price contract for “indirect” contractor support for aircraft and aircraft components production support, Corpus Christi Army Depot, Corpus Christi, Texas, with an estimated completion date of Sept. 30, 2018. Bids were solicited via the Internet with 28 received. Fiscal 2015 other procurement funds in the amount of $25,079,661 were obligated at the time of the award. Army Contracting Command, Redstone Arsenal, Alabama, is the contracting activity (W58RGZ-15-F-0011). URS Federal Technical Services Inc., Germantown, Maryland, was awarded a $20,422,490 firm-fixed-price contract with options for direct contractor support for aircraft and aircraft components production support, Corpus Christi Army Depot, Corpus Christi, Texas, with an estimated completion date of Sept. 30, 2018. Bids were solicited via the Internet with three received. Fiscal 2015 other procurement funds in the amount of $20,422,490 were obligated at the time of the award. Army Contracting Command, Redstone Arsenal, Alabama, is the contracting activity (W58RGZ-15-F-0008). Tech Systems Inc.,* Alexandria, Virginia, was awarded a $13,664,094 modification (P0004) to contract W52P1J-12-G-0047 for logistics support to Schofield Barracks, Hawaii, with an estimated completion date of Aug. 31, 2020. Fiscal 2014 operations and maintenance (Army) funds in the amount of $3,508,919 were obligated at the time of the award. Army Contracting Command, Rock Island Arsenal, Illinois, is the contracting activity. CGI Federal, Fairfax, Virginia, was awarded a $9,280,327 firm-fixed-price incrementally funded contract with options for maintenance and sustainment of software systems for Army Sustainment Command’s Integrated Materiel Management Operation System. Work will be performed in Springfield, Virginia; Rock Island, Illinois; Sierra Army Depot, California; Charleston, South Carolina (ASLAC); Huntsville, Alabama (LOGSA); Italy; Germany; Qatar; Kuwait; Korea; Japan; and Afghanistan, with an estimated completion date of July 31, 2020. Bids were solicited via the Internet with four received. Fiscal 2015 operations and maintenance (Army) funds in the amount of $9,280,327 were obligated at the time of the award. Army Contracting Command, Rock Island Arsenal, Illinois, is the contracting activity (W52P1J-15-C-0068). Bell Boeing Joint Project Office, California, Maryland, has been awarded a maximum $28,630,756 modification (P00002) to a three-year base contract (SPE4AX-15-D-9416). This is a firm-fixed-price contract that will add various depot-level repairables to the existing contract. This was a sole-source acquisition using justification 10 U.S.C. 2304 (c)(1). Locations of performance are Maryland and Texas, with a Feb. 10, 2018, performance completion date. Using services are Navy and federal civilian agencies. Type of appropriation is fiscal 2015 through fiscal 2018 Navy working capital funds. The contracting activity is the Defense Logistics Agency Aviation, Philadelphia, Pennsylvania. Assurance Technology Corp.,* Carlisle, Massachusetts, is being awarded a $24,663,970 cost-plus-fixed-fee task order under the One Acquisition Solution for Integrated Services (OASIS) multiple award contract (N00173-15-F-6201) for research, development, and integration as it relates to software to develop software definable/reconfigurable systems (SDS) that respond to Navy, Department of Defense, and national mission requirements with improved performance, capability, reliability, efficiency, and life cycle cost. Specifically, this effort involves systems development, support and integration for SDSdesign tasking required in support of the Space Systems Development Department technology advancements, system requirements definition, architecture development, and the system and unit design, development and transition to operational use. Recent and current Naval Research Laboratory SDS programs include the Software Reconfigurable Payload and the Operationally Responsive Space Technology Demonstrator. These programs represent a core technology for the creation of radio transceivers/software defined payloads that are smaller, lighter and more flexible tactical systems. Advanced waveform development and porting advanced receiver design and implementation, as well as communications security and information assurance functions are required. Work will be performed in Washington, District of Columbia (93 percent); and Carlisle, Massachusetts (7 percent), and work is expected to be completed July 13, 2020. Fiscal 2015 defense working capital funds in the amount of $2,035,641 are being obligated at the time of award. Funds in the amount of $110,000 will expire at the end of the current fiscal year. 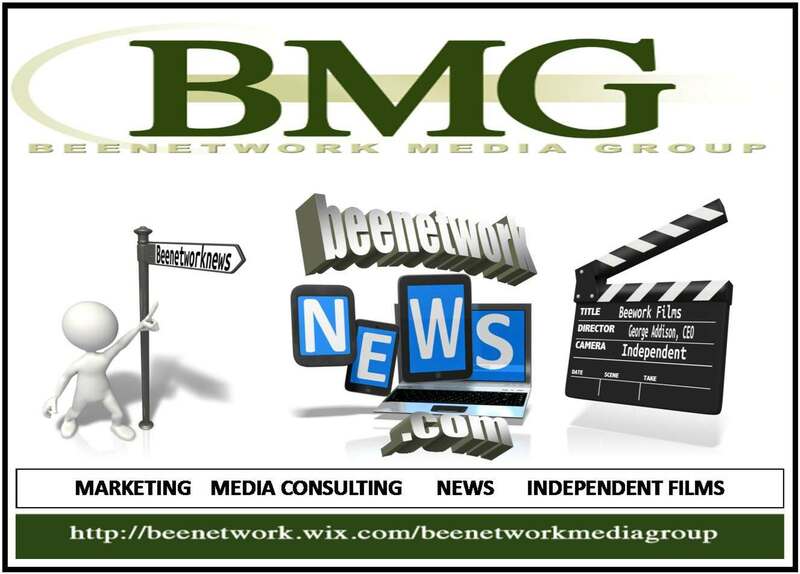 The contract was competitively procured in accordance with the Fair Opportunity Procedures at 16-505(b)(1)(iv) under RFP NOOJ73-15-R-SE02 via General Services Administration OASIS-Small Business. The Naval Research Laboratory Contracting Division issued this solicitation to Pool 4 of the GSA OASIS small contractors which consists of 42 vendors. One offer was received. The Naval Research Laboratory, Washington, District of Columbia, is the contracting activity. The Boeing Co., St. Louis, Missouri, is being awarded $14,689,239 for cost-plus-incentive-fee delivery order 0387 against a previously issued basic ordering agreement (N00019-11-G-0001) forthe multi-module redesign of the array drive and beam steering controller for the AN/APG-79 active electronically scanned array radio detection and ranging to mitigate obsolescence for the Navy and the government of Australia. Work will be performed in Andover, Massachusetts (40 percent); Forest, Mississippi (30 percent); El Segundo, California (20 percent); and St. Louis, Missouri (10 percent), and is expected to be completed in July 2018. Fiscal 2014 aircraft procurement (Navy) funds and foreign military sales funds in the amount $14,689,239 will be obligated at time of award, none of which will expire at the end of the current fiscal year. This contract combines purchases for the Navy ($12,976,014, 88.4 percent) and the government of Australia ($1,713,225, 11.6 percent) under the Foreign Military Sales program. The Naval Air Systems Command, Patuxent River, Maryland, is the contracting activity. Raytheon Missile Systems, Tucson, Arizona, is being awarded a $14,568,000 modification to previously awarded contract N00024 13 C-5403 to exercise an option for Standard Missile-2 (SM-2) and Standard Missile-6 (SM-6) engineering and technical services to ensure continuity in production, design integrity, and total systems integration of the missile round and its components. This contract combines purchases for the Navy (96.7 percent) and the government of Australia (3.3 percent) under the Foreign Military Sales program. Work will be performed in Tucson, Arizona (98.6 percent); and St. Petersburg, Florida (1.4 percent), and is expected to be completed by November 2016. Fiscal 2015 weapons procurement (Navy); fiscal 2014 and 2015 research, development, test and evaluation; and foreign military sales funding in the amount of $14,568,000 will be obligated at time of award and $42,000 will expire at the end of the current fiscal year. The Naval Sea Systems Command, Washington, District of Columbia, is the contracting activity. CB&I Federal Services LLC, San Diego, California, is being awarded $6,799,897 for firm-fixed-price task order JP01 under a previously awarded multiple award environmental service contract (N62473-12-D-2005) for a non-time critical removal action for munitions clearance at former Adak Naval Air Facility. The work to be performed provides for all the necessary effort to plan, document, and execute a non-time-critical removal action for clearance of munitions at the Navy Remedial Action Areas 01, 03W, and 05 in Operable Unit B-2. The contract also contains three unexercised options, which if exercised would increase cumulative contract value to $6,874,329. Work will be performed in Adak, Alaska, and is expected to be completed by July 2017. Fiscal 2015 base realignment and closure, (Navy) contract funds in the amount of $6,799,897 are being obligated on this award and will not expire at the end of the current fiscal year. Three proposals were received for this task order. The Naval Facilities Engineering Command, Northwest, Silverdale, Washington, is the contracting activity. Jacobs Technology Inc., Lincoln, Massachusetts, has been awarded a $6,846,178 cost-plus-fixed-fee and cost reimbursable modification (P00063) to exercise the option on previously awarded contract FA8721-14-C-0016 for engineering and technology acquisition support services. Work will be provided for Hanscom Air Force Base, Massachusetts, and its geographically separated units. Contractor will provide disciplined systems and specialty engineering, technical and information assurance services, support and products using established government, contractor, and industry processes. Work will be performed at Hanscom Air Force Base, Massachusetts, and is expected to be complete by Oct. 31, 2015. This contract involves foreign military sales. Fiscal 2013 and 2015 other procurement; fiscal 2014 and 2015 research, development, test and evaluation; fiscal 2015 operations and maintenance and fiscal 2015 missile procurement funds in the amount of $3,600,000 are being obligated at the time of award. Air Force Lifecycle Management Center, Hanscom Air Force Base, Massachusetts, is the contracting activity. Six companies are each being awarded a fixed-price contract extension modification to previously awarded indefinite-delivery/indefinite-quantity contracts for international ocean and intermodal distribution services under the Universal Service Contract (USC)-7 program. Work will be performed worldwide as specified on each individual order, with an expected completion date of Nov. 30, 2015. Type of appropriation is fiscal 2015 and 2016 transportation working capital funds to be obligated on individual task orders. 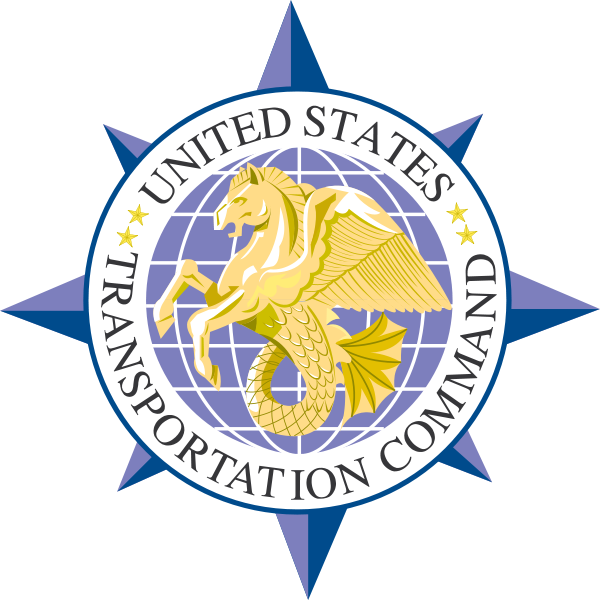 U.S. Transportation Command Directorate of Acquisition, Scott Air Force Base, Illinois, is the contracting activity. The companies and their awards are as follows: American President Lines LTD Inc., Scottsdale, Arizona, estimated $55,658,342. The modification brings the total cumulative face value of the contract to $1,837,345,950 from $1,781,687,608 (HTC711-12-D-W003); Maersk Line, Limited, Norfolk, Virginia, estimated $49,765,916. The modification brings the cumulative face value of the contract to $2,148,626,292 from $2,098,860,376 (HTC711-12-D-W013); Farrell Lines Inc., Norfolk, Virginia, estimated $30,087,173. The modification brings the total cumulative face value of the contract to $595,394,850 from $565,307,677 (HTC711-12-D-W008); Hapag-Lloyd USA LLC, Tampa, Florida, estimated $15,820,121. The modification brings the total cumulative face value of the contract to $354,285,897 from $338,465,776 (HTC711-12-D-W011); American Roll-On Roll-Off Carrier LLC,* Woodcliff Lake, New Jersey, estimated $14,126,758. The modification brings the total cumulative face value of the contract to $567,073,419 from $552,946,661 (HTC711-12-D-W004); and Liberty Global Logistics LLC, Lake Success, New York, estimated $12,623,476. The modification brings the total cumulative face value of the contract to $374,339,352 from $361,715,876 (HTC711-12-D-W012). Crowley Technical Management Inc., Jacksonville, Florida, is being awarded a $43,053,912 firm-fixed-price contract for the operation and maintenance of six government-owned Marine Prepositioning Force ships. The ships will continue to support Military Sealift Command worldwide prepositioning requirements. This contract includes four one-year options, which, if exercised, would bring the cumulative value of this contract to $231,611,742. Work will be performed at sea worldwide, and work is expected to be completed September 2016. If all options are exercised, work will continue through September 2020. Working capital funds (Navy) in the amount of $43,053,912 will be obligated at the time of award, and will not expire at the end of the current fiscal year. This contract was competitively procured on a full and open basis with more than 50 companies solicited via the Military Sealift Command, Federal Business Opportunities and Navy Commerce Online websites, with seven offers received. The Military Sealift Command, Norfolk, Virginia, is the contracting activity (N62387-15-C-3135). The Whiting-Turner Contracting Co., Baltimore, Maryland, is being awarded $28,455,603 for firm-fixed-price task order 0011 under a previously awarded multiple award construction contract (N40085-10-D-5330) for renovation of Building 32 at Norfolk Naval Shipyard. The work to be performed provides for a total building rehabilitation that will meet the current and future needs of the existing building occupants as well as the Ship Nuclear Management Department and future occupants of the building. The renovation will include abatement of hazardous materials. Exterior renovation will be a State Historic Preservation Office-compliant rehabilitation or replacement of existing entrances and basement-level windows so as not to disturb the historic fabric of the building which will include complete masonry cleaning, repointing and repair. Interior renovation will include demolishing all interior non-load bearing partition walls in order to make structural improvements to the existing load bearing walls and floor slabs with replacement of heating, ventilation, and air conditioning, plumbing, electrical and fire suppression systems. Work will be performed in Portsmouth, Virginia, and is expected to be completed by May 2018. Fiscal 2015 operation and maintenance, (Navy) contract funds in the amount of $28,455,603 are being obligated on this award and will expire at the end of the current fiscal year. Three proposals were received for this task order. The Naval Facilities Engineering Command, Mid-Atlantic, Norfolk, Virginia, is the contracting activity. The Whiting-Turner Contracting Co., Baltimore, Maryland, is being awarded $21,643,200 for firm-fixed-price task order 0010 under a previously awarded multiple award construction contract (N40085-10-D-5330) for renovation of Building 30 at Norfolk Naval Shipyard. The work to be performed provides for exterior and interior renovations. Exterior renovations include complete masonry cleaning, repointing and repair. Interior renovations include replacement of stairs, heating, ventilation, and air conditioning system, plumbing, electrical and fire suppression systems. Work will be performed in Portsmouth, Virginia, and is expected to be completed by March 2018. Fiscal 2015 operation and maintenance, (Navy) contract funds in the amount of $21,643,200 are obligated on this award and will expire at the end of the current fiscal year. Three proposals were received for this task order. The Naval Facilities Engineering Command, Mid-Atlantic, Norfolk, Virginia, is the contracting activity. Alliant Techsystems Operations LLC, Plymouth, Minnesota, is being awarded a $12,404,535 cost-plus-fixed-fee, firm-fixed-price basic ordering agreement to provide the Navy a contractual vehicle for prototype fabrication, pre-production, integration, testing, evaluation and development of chain gun weapon systems hardware, associated gun control system software and ammunition. The basic ordering agreement will also provide for design and fabrication of ammunition all-up cartridges and components, and any associated support materials and equipment in support of qualification, evaluations, performance, and test for chain gun systems. Work will be performed in Mesa, Arizona, and is expected to be completed by July 2020. No funds are being obligated at this time of award. Contract funds will not expire at the end of the current fiscal year. This contract was not competitively procured pursuant to the authority of 10 U.S.C. 2304 (c)(1), as implemented by FAR 6.302-1(a)(2) – satisfying a requirement for unique supplies available from only one source. 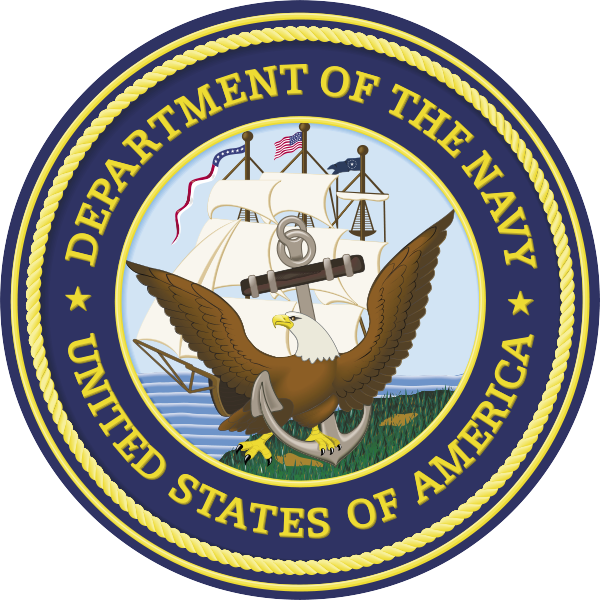 The Naval Surface Warfare Center, Dahlgren, Virginia, is the contracting activity (N00178-15-G-0002). Electric Boat Corp., Groton, Connecticut, is being awarded a $9,837,798 not-to-exceed, undefinitized contract modification to previously awarded contract N00024-13-C-2128 for the procurement of the first article common missile compartment tube-to-keel robotic weld skids, weld skid transfer system and cable management/lifting and handling features, packaging and shipment of welding skids to the robotic welding integrator, and engineering services. The contractor will be procuring hardware relating to the fixture personnel access platforms in support of the Ohio replacement program. This contract combines purchases for the Navy (50 percent) and the government of the United Kingdom (50 percent) under the Foreign Military Sales program. Work will be performed in Groton, Connecticut, and is scheduled to be completed by June 2016. Fiscal 2015 research, development, test and evaluation and foreign military sales funding in the amount of $4,918,900 will be obligated at time of award and will not expire at the end of this fiscal year. The Supervisor of Shipbuilding Conversion and Repair, Groton, Connecticut, is the contracting activity. Lockheed Martin Corp., Akron, Ohio, is being awarded $7,624,164 for firm-fixed-price delivery order 0004 issued as a undefinitized contract action under previously awarded basic ordering agreement N00104-12-G-0726 for the repair and refurbishment of 11 vertical launch anti-submarine rocket motors under the undersea weapons program. Work will be performed in Elkton, Maryland (66 percent); Baltimore, Maryland (12 percent); Owego, New York (11 percent); and Chandler, Arizona (11 percent). Work is to be completed by February 2017. Fiscal 2015 weapons procurement (Navy) funds in the amount of $3,735,840 will be obligated at the time of award and funds will not expire at the end of the current fiscal year. This is a sole source contract to Lockheed Martin Corp. in accordance with 10 U.S.C. 2304(c)(1). Naval Supply Systems Command Weapon Systems Support, Mechanicsburg, Pennsylvania, is the contracting activity. Honeywell International Defense and Space, Tempe, Arizona, has been awarded a maximum $41,432,253 firm-fixed-price, indefinite-delivery/indefinite-quantity contract for APN-209 radar altimeters. This was a sole-source acquisition using the justification that the contractor is the sole manufacturer and only approved source for these items. This is a five-year base contract with no option periods. Location of performance is Arizona, with a July 14, 2020, performance completion date. Using military service is the Army, and federal civilian agencies. Type of appropriation is fiscal 2015 Army working capital funds. The contracting activity is the Defense Logistics Agency Land and Maritime, Aberdeen Proving Ground, Maryland (SPRBL1-15-D-0009). Rockwell Collins-ESA Vision Systems, Fort Worth, Texas, has been awarded a maximum $26,929,965 modification (P00014) to establish prices for the last two ordering periods of basic contract SPRWA1-11-D-0007 for joint helmet-mounted cueing systems for aircraft. This was a sole-source acquisition using justification 10 U.S.C. 2304(c)(1). Locations of performance are Texas and Oregon, with a Dec. 31, 2017, performance completion date. 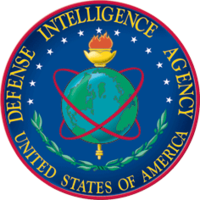 Using services are the Navy, Air Force and Defense Logistics Agency (DLA). Type of appropriation is fiscal 2016 material support division Air Force funds, defense working capital funds for DLA and designated program funding for the Navy and Foreign Military Sales program. The contracting activity is the Defense Logistics Agency Aviation, Warner Robins, Georgia. Thales Defense & Security Inc., Clarksburg, Maryland, has been awarded a $18,400,000 firm-fixed-price, hybrid award for two Deployable Instrument Landing System (ILS) Production Representative test units, training, tech manuals, spares and contractor support to conduct an integrated system test qualification operational test and evaluation. Upon successful completion of the testing, contractor will provide an equivalent of a fixed-based instrument landing system capability at tactical airfields and at airfields where permanent ILS capability has been disrupted. Work will be performed at Clarksburg, Maryland; Italy; and Overland Park, Kansas, and is expected to be complete by July 15, 2018. This award is the result of a sole-source acquisition. Fiscal 2014 procurement funds in the amount of $17,284,246 are being obligated at the time of award. 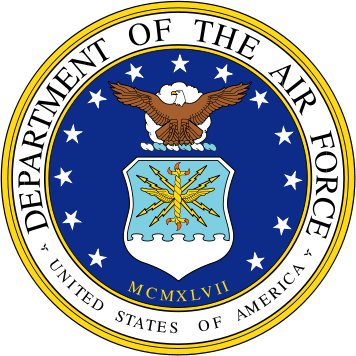 Air Force Life Cycle Management Center, Hanscom Air Force Base, Massachusetts, is the contracting activity (FA8730-15-C-0015). United Technologies Corp., doing business as Pratt & Whitney Military Engines, East Hartford, Connecticut, has been awarded a $15,864,275 modification (MOD BZ44) firm-fixed price, fixed-quantity contract for manufactured F100-PW-100 turbine blade sets. Work will be performed at East Hartford, Connecticut, and is expected to be complete by Sept. 29, 2017. This award is the result of a competitive acquisition. Offers were solicited electronically and one offer was received. Fiscal 2015 working capital funds in the amount of $15,864,275 are being obligated at the time of award. Air Force Sustainment Center, Tinker Air Force Base, Oklahoma, is the contracting activity (N00383-12-G-001M). Onvoi LLC, Newbury Park, California, has been awarded a $9,236,896 firm-fixed-price, indefinite-delivery/indefinite-quantity contract for contracted training flight services. Contractor will provide commercial services for contracted flight training hours in support of the Air Force Undergraduate Air Battle Manager Training Course. Training services will include ground-controlled intercept target training, basic airmanship training, live-fire training, weapons system evaluations, and major command-directed development test and evaluations. Work will be performed at Tyndall Air Force Base, Florida, and is expected to be complete by Sept. 30, 2019. This award is the result of a 100 percent small business set-aside competitive acquisition. Fiscal 2015 operations and maintenance funds in the amount of $281,516 are being obligated at the time of award. The 325th Contracting Squadron, Tyndall Air Force Base, Florida, is the contracting activity (FA4819-15-C-0013). Lee Construction Group Inc., Doral, Florida, has been awarded an $8,000,000 fixed-price, indefinite–delivery/indefinite-quantity contract for simplified acquisition of base engineering requirements. Contractor will provide minor construction, renovation, maintenance and repair projects. Work will be performed at Cape Canaveral, Florida, and is expected to be complete by July 14, 2018. This award is the result of a competitive acquisition. Offers were solicited electronically and 13 offers were received. Fiscal 2015 operations and maintenance funds in the amount of $13,494 are being obligated at the time of award. The 45th Contracting Squadron, Patrick Air Force Base, Florida, is the contracting activity (FA2521-15-D-0002). Lockheed Martin Corp., Lockheed Martin Aeronautics Co., Fort Worth, Texas, is being awarded a $718,299,821 modification to a previously awarded cost-plus-fixed-fee contract (N00019-15-C-0031) for non-air vehicle spares, support equipment, Autonomic Logistics Information System hardware and software upgrades, supply chain management, full mission simulators and non-recurring engineering services in support of low-rate initial production Lot 8 F-35 Lightning II Joint Strike Fighter aircraft for the Air Force, Marine Corps, Navy, international partner, and foreign military sales customers. Work will be performed in Orlando, Florida (70 percent); Fort Worth, Texas (17 percent); El Segundo, California (7 percent); Owego, New York (4 percent); Greenville, South Carolina (1 percent); and Samlesbury, United Kingdom (1 percent), and is expected to be completed in April 2020. Fiscal 2013 and 2014 aircraft procurement funds (Air Force, Marine Corps, and Navy); fiscal 2014 other procurement (Navy); fiscal 2015 operations and maintenance (Navy and Marine Corps); international partner; and foreign military sales (FMS) funds in the amount of $676,688,604 will be obligated at time of award, of which $58,751,345 will expire this fiscal year. This contract combines purchases for the Air Force ($89,245,994; 12 percent); Navy ($32,882,908; 5 percent); Marine Corps ($115,576,902; 16 percent); international partners ($280,513,654; 39 percent); and FMS customers ($200,080,363; 28 percent). The Naval Air Systems Command, Patuxent River, Maryland, is the contracting activity. Bell-Boeing Joint Project Office, Amarillo, Texas, is being awarded a $332,468,665 modification to the previously awarded fixed-price-incentive-firm target multiyear contract N00019-12-C-2001. This modification provides for the manufacture and delivery of five MV-22 tiltrotor aircraft pursuant to the variation in quantity clause in support of the government of Japan. Work will be performed in Fort Worth, Texas (24.6 percent); Ridley Park, Pennsylvania (19.2 percent); Amarillo, Texas (10.4 percent); Dallas, Texas (4.3 percent); East Aurora, New York (2.5 percent); Park City, Utah (1.7 percent); El Segundo, California (1.3 percent); Endicott, New York (1 percent); Ontario, Canada (0.9 percent); Tempe, Arizona (0.8 percent); Corinth, Texas (0.8 percent); Rome, New York (0.7 percent); Torrance, California (0.7 percent); Luton, United Kingdom (0.6 percent); Los Angeles, California (0.6 percent); Cobham, United Kingdom (0.6 percent); Irvine, California (0.6 percent); San Diego, California (0.5 percent); Yakima, Washington (0.5 percent); Brea, California (0.5 percent); Rockmart, Georgia (0.5 percent); Albuquerque, New Mexico (0.4 percent); Whitehall, Michigan (0.4 percent); Wolverhampton, United Kingdom (0.4 percent); Tucson, Arizona (0.4 percent); Erie, Pennsylvania (0.3 percent); Vergennes, Vermont (0.3 percent); Kilgore, Texas (0.3 percent); Shelby, North Carolina (0.3 percent); Avon, Ohio (0.2 percent); Santa Clarita, California (0.2 percent); Garden City, New York (0.2 percent); El Cajon, California (0.2 percent); Sylmar, California (0.2 percent); Westbury, New York (0.1 percent); and various other locations inside and outside the U.S. (22.8 percent), and is expected to be completed in June 2018. Foreign military sales funds in the amount of $332,468,665 will be obligated at time of award, none of which will expire at the end of the current fiscal year. The Naval Air Systems Command, Patuxent River, Maryland, is the contracting activity. EA Engineering, Science & Technology Inc.,* Hunt Valley, Maryland (W912DR-15-D-0014); Earth Resources Technology Inc.,* Laurel, Maryland (W912DR-15-D-0015); Hydrogeologic,* Reston, Virginia (W912DR-15-D-0016); AECOM Technical Services Inc., Los Angeles, California (W912DR-15-D-0017); Arcadis U.S. Inc., Highlands Ranch, Colorado (W912DR-15-D-0018); CH2M Hill Constructors Inc., Englewood, Colorado (W912DR-15-D-0019); Parsons Government Services Inc., Pasadena, California (W912DR-15-D-0020); Tetra Tech EC Inc., Boston, Massachusetts (W912DR-15-D-0021); and Western Solutions Inc., West Chester, Pennsylvania (W912DR-15-D-0022) will share an awarded $240,000,000 firm-fixed-price multiple-award contract for military munitions services to provide military munitions and environmental response services at various sites known or suspected to have been affected by munitions. Funding and work locations will be determined with each order, with an estimated completion date of July 14, 2020. Bids were solicited via the Internet with 25 received. Army Corps of Engineers, Baltimore, Maryland, is the contracting activity. Vectrus Systems Corp., Colorado Springs, Colorado, was awarded a $221,012,445 modification (P00100) to contract W52P1J-10-C-0062 to exercise the option to extend services for Kuwait base operations and security support services in the Kuwait area of responsibility at Camp Arifjan, Camp Buehring, Udairi Range, Camp Patriot at the Kuwait Naval Base, Aerial Port of Debarkation, and Sea Port of Debarkation under Federal Acquisition Regulation 52.217-8 from Sept. 29, 2015 through March 28, 2016. Fiscal 2015 operations and maintenance, Army funds in the amount of $221,012,445 were obligated at the time of the award. Estimated completion date is March 28, 2016. Work will be performed in Kuwait. Army Contracting Command, Rock Island Arsenal, Illinois, is the contracting activity. Leidos Inc., Reston, Virginia, was awarded a $99,000,000 firm-fixed-price contract for automated installation entry hardware and software for approximately 35 military installations to provide timely; effective and efficient threat detection necessary for installation commanders to assess and react in all threat environments; and to automate access control processes for authorized and registered personnel entering an installation. Funding and performance locations will be determined with each order, with an estimated completion date of July 13, 2019. Bids were solicited via the Internet with three received. Army Contracting Command, Natick, Massachusetts, is the contracting activity (W911QY-15-D-0047). The Boeing Co., Ridley Park, Pennsylvania, was awarded a $7,451,859 modification (P00024) to a foreign military sales contract (W58RGZ-13-C-0002) to add additional unique statement of work effort for foreign military sales to Turkey and the United Arab Emirates for CH-47F Chinook cargo helicopters. Purpose of the modification is to incorporate unique tasks required by the foreign military sales customer countries. Both countries aircraft will use different paint schemes and markings, and be shipped to the respective countries, and have unique equipment. Fiscal 2012 other funds in the amount of $1,195,159; and fiscal 2011 other funds in the amount of $6,256,700, were obligated at the time of the award. Estimated completion date is Dec. 31, 2020. Work will be performed at Ridley Park, Pennsylvania. Army Contracting Command, Redstone Arsenal – Aviation, Alabama, is the contracting activity. Milburn Academy Inc.,* Woodbridge, Virginia, was awarded a $7,365,133 modification (P00005) to contract W91247-13-D-0009 to exercise option two of an indefinite-delivery requirements contract to provide foreign language services, refresher courses, to Army Forces Command. Funding and performance locations will be determined with each order. Estimated completion date is Aug. 30, 2016. Army Contracting Command, Fort Bragg, North Carolina, is the contracting activity.